At Lemongrass we believe change starts with you. From the thoughts you think, the foods you eat, to the products that you purchase you have the power to create positive change on our planet. 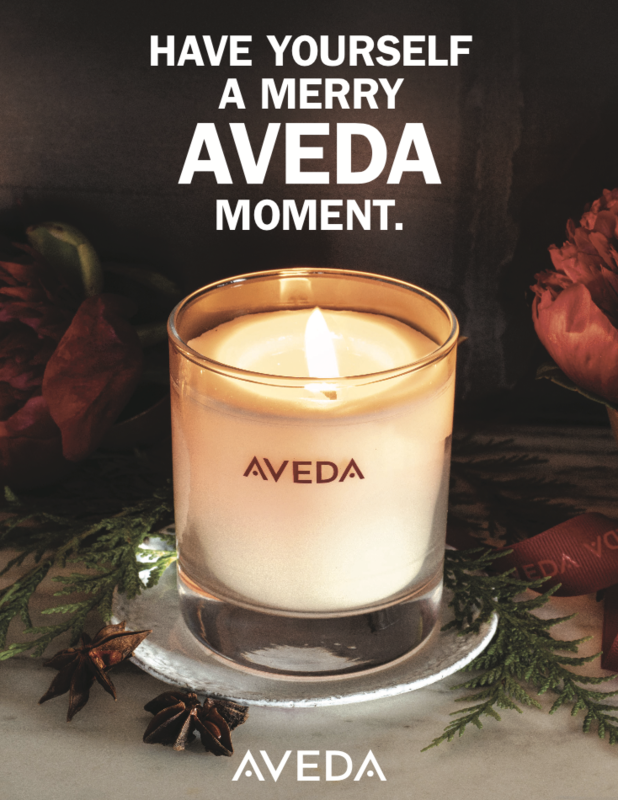 This philosophy is much of the reason why we choose to be an Aveda exclusive salon. Aveda products are all natural, safe for your body and sourced sustainably, so they are friendly to our planet! At the heart of Aveda’s mission is supporting our earth and the areas in which they source their ingredients. From stimulating economies, providing clean water and resources Aveda leaves a lasting and positive footprint on the communities they come into contact with. 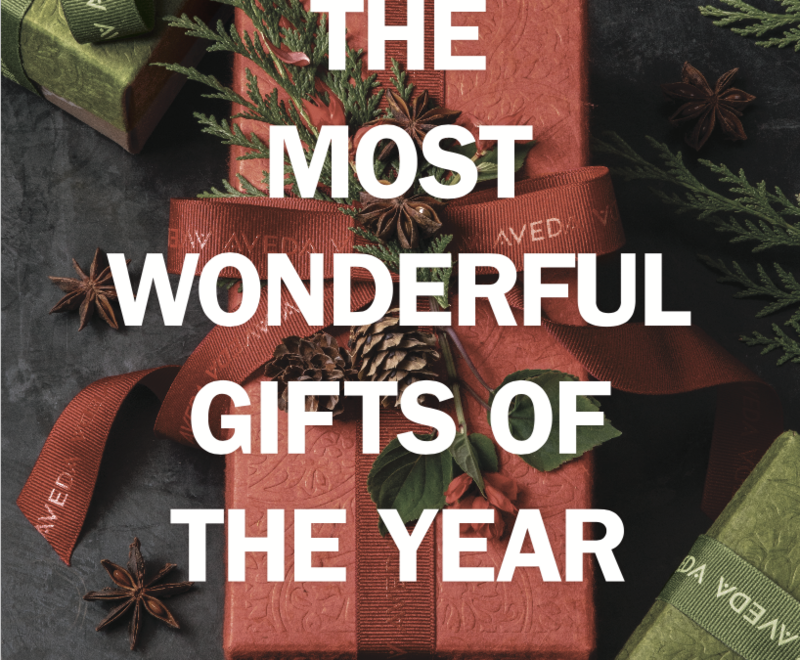 Shopping Aveda this season means shopping with purpose. 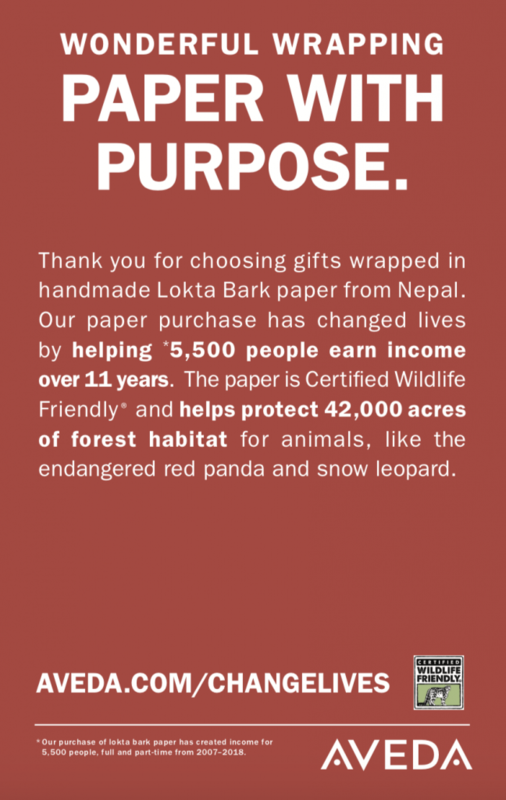 In the spirit of humanitarian efforts all Aveda gift sets are wrapped in handmade Lotka Bark paper from Nepal. Over the past 11 years through this project Aveda has provided income for up to 5,500 people, empowered 4,490 women, supported 5,885 students, and protected 42,000 acres of habitat. This is just a portion of the work Aveda is doing to restore and support Nepalese communities. These artisan packages are beautiful and a gift you can feel really good about giving. At Lemongrass we will be offering 4 different holiday gift packages in store: The limited edition candrima soy wax candle with comforting aroma, hand and foot relief four piece full and travel size duo, nourishment gloss duo and the hand relief limited edition scents trio. You can also shop the full collection now online through Lemongrass here. We encourage you to give the gift that keeps on giving!